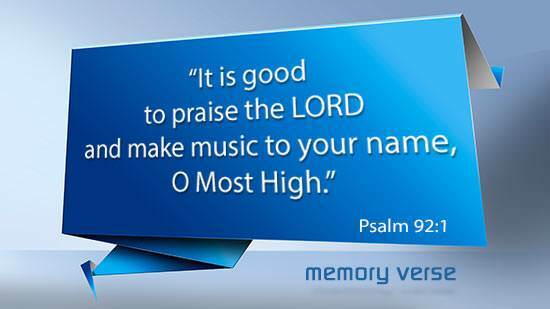 When the young King Solomon came to the throne of Israel in the place of his father, David, he had one great wish—to build a beautiful house in which the people could worship God. 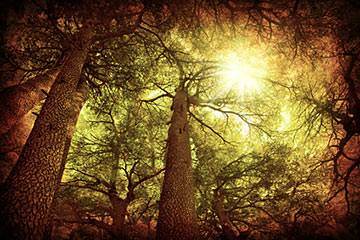 He wanted it to be more beautiful than any house ever built, so that it would be fit for God Himself to dwell in. 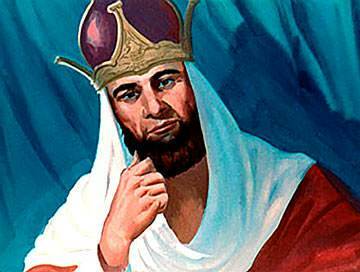 So King Solomon talked with his wise men, and had plans made for the new house of God—or Temple. He wanted it to be built of beautiful white stone, and the walls inside the house were to be made of sweet-scented cedar-wood. 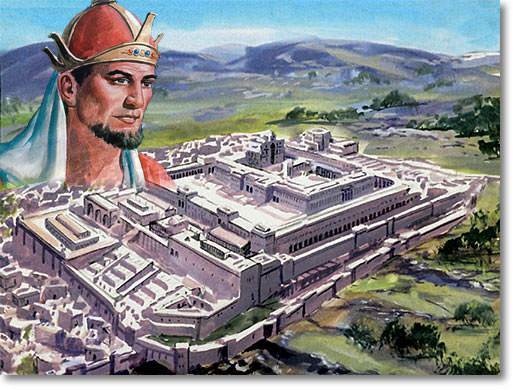 He sent a message throughout his kingdom for men to help in building the great new Temple. 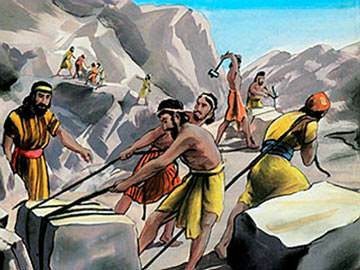 Soon there were crowds of stone-masons cutting out big stones and making them square and ready for the building. 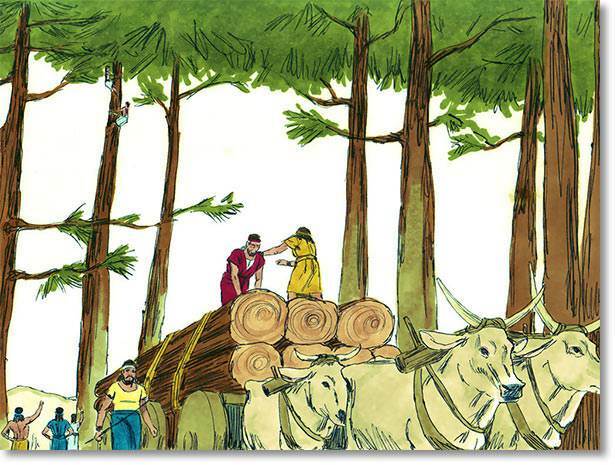 Now there were no cedar trees growing in King Solomon’s land, so he sent a messenger to King Hiram of Tyre, saying, "Please give me timber from the cedar trees that you grow in your land, and in exchange I will send you wheat and oil to feed your people." 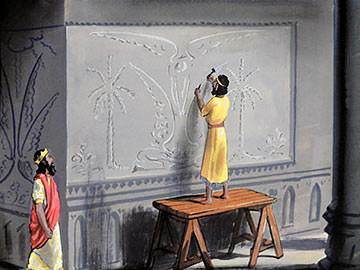 King Hiram was glad to help in the building of God’s house, and sent a clever workman with the timber to show King Solomon’s men how to carve it into beautiful shapes and patterns. 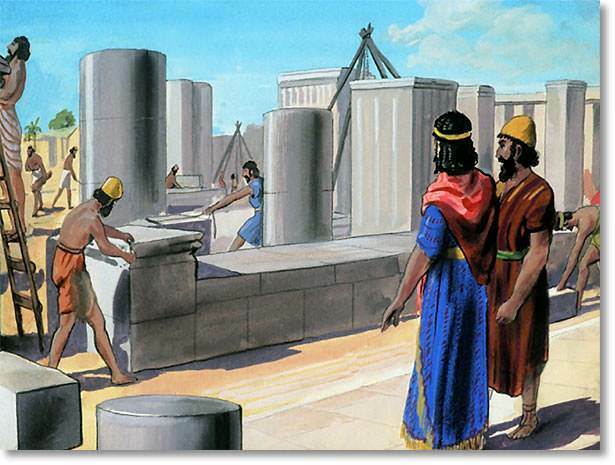 All the work of hewing the stones and cutting the wood for the Temple was done some distance away, for King Solomon wanted God’s Temple to be built without any noise or bustle or excitement. When the stones and beams were all ready, they were carried to the hill on which the Temple was to stand, and there they were placed in position almost in silence. When the outside walls of stone were built, the inside of the Temple was lined with the sweet-scented cedar-wood, richly decorated with carved flowers, and palm-trees and figures of angels. 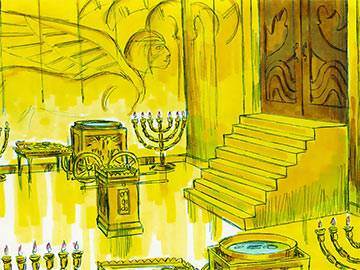 The walls and floors were overlaid with gold, and the beautiful altar was covered with gold. Golden chairs formed a partition in front of the altar, and two golden angels stretched their wings across the sacred inner room of the Temple, in which was the sacred Ark. The work of building this beautiful house for God took many years, but at last everything was finished. 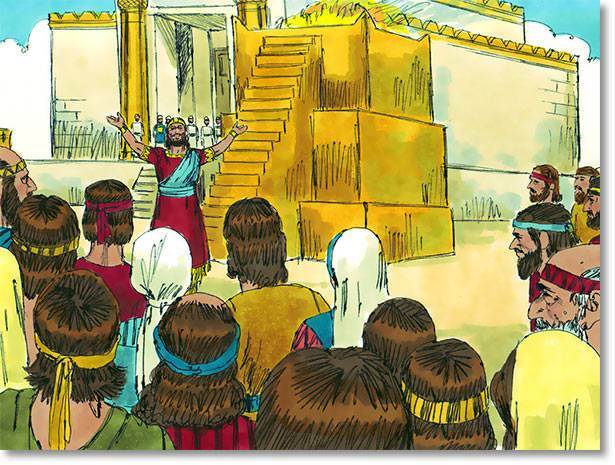 Then King Solomon called all the people to a great service in the new Temple. Standing before the altar, the king spread out his arms towards heaven, and prayed to God to be with his people when they worshipped in His House, and to bless them. 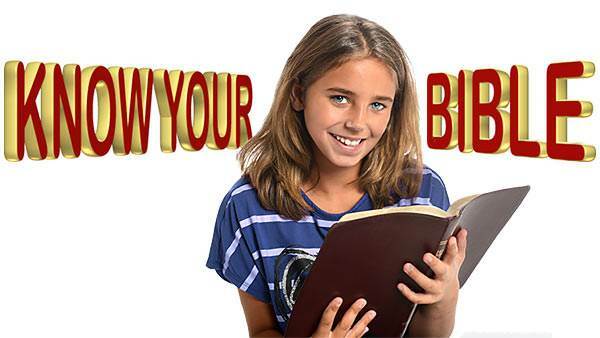 Then the people praised God, shouting and singing and rejoicing that they had been able to help in building the beautiful church to be God’s dwelling place. After the service in the Temple the king held a great feast for the people to celebrate the opening of the building, and when all was over the people went away to their homes joyful and glad in their hearts for all that God has done for them.